You may have already seen my previous post about Moon Dough. Over the last month I have let Mason play with the Moon Dough and he has done remarkably well with it, so I figure, let's break out the Moon Dough Magic Barnyard playset. Now the real fun begins! Honestly, I love this stuff! Since I am a stay-at-home mom, I am always looking for new, educational, and innovative toys to keep Mason learning while having fun. I am also into toys that allow for imaginative/creative play. I love that kids get to use their imagination and hands to get creative. Moon Dough is soft, smooth, and easily moldable. You can scoop it and cut it too. The best part is that it never dries out so you can mold and remold again and again. I knew from the start Mason would love the Magic Barnyard. He love animals and making animal sounds. This was perfect to create a farm of his very own. It is so easy to use too. All you have to do it put an adequate amount of Moon Dough in the top of the Barn and turn the handle. You have to make sure the dough is tightly packed into the animal cutter so you will be able to create perfect shapes of a sheep, cow, horse and chickens. They do come out of the mold pretty easily and it is a surprise each time to see which animal come out. 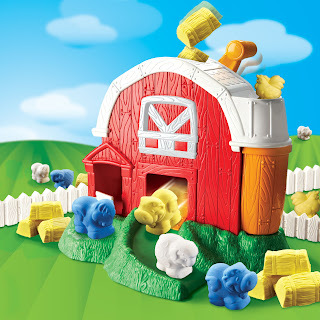 You can also create a barnyard with the fun fences that connect together. Don't forget to use the included hay bale molds to make perfect hay bales for the animals to eat! Mason got so excited each time we turned the handle and waited to see which animal would come out next. At 21 months, Mason still needs a little of my help to turn the handle, but he is definitely on his way to turning it on his own. I also love that I can use this toy to help teach shapes and colors. There are really endless possibilities with Moon Dough and the Moon Dough Playsets. 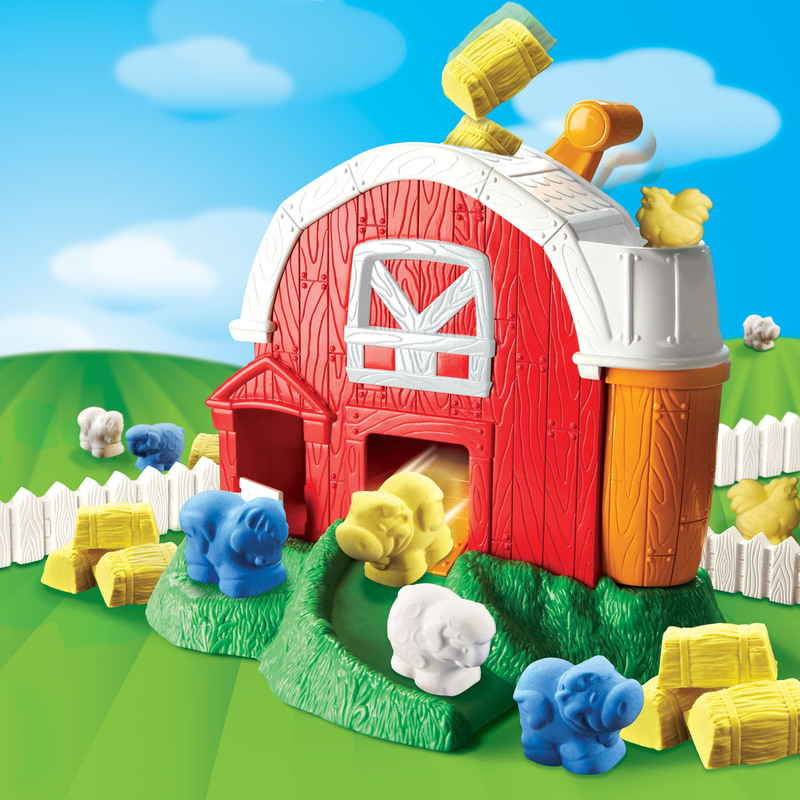 The Moon Dough Magic Barnyard is recommended for ages 3 and up. It retails for $19.99 and includes: 1 Magic Molding Barn, 1 fence mold, 1 hay mold, 1 playmat, 1 - 10oz bag green moon dough, 1 - 10oz bag yellow moon dough, and 1 - 10oz bag blue moon dough. We are big fans of Shout's Color Catcher in my house! I am always careful to separate my clothes, but there always seems to be one or two loads that just aren't big enough to justify one load. Not only that, but the colors are all wrong to mix into one load. Enter the Shout Color Catcher. All you have to do it throw this in the washer, add your detergent and clothes and wash as usual. Click HERE to read a review I completed of the Shout Color Catcher, as well as other Shout products. Click HERE for your free sample of Shout's Color Catcher. Are you wondering what to do with all the used wrapping paper, Christmas cards, and uneaten candy canes? 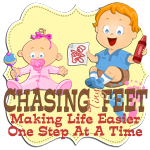 I love trying to find new uses for things, especially when it can be a money saver! Click HERE and head on over to one of my favorite sites, Mama Cheaps, to read 20 great tips on repurposing Christmas remnants.